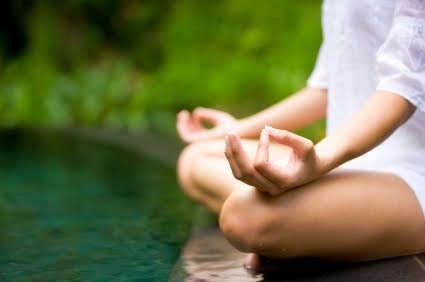 United Nation adopts Indian PM Narendra Modi's appeal, UN Declares June 21 as " International Day of Yoga "
Yoga (Meditation) has good for health Whether you’re seeking better sleep, stress relief, increased energy or happiness, meditation offers many paths to enhancing your mind and body. Find the right one for you. when you tried meditation in the past, you encountered many thoughts and emotions. You may even have thought, "I can’t meditate". If so, breathe easy... now you will be able to meditate. Meditation can seem like such a lofty thing, but it doesn't need to. Anyone can do it, and everyone can benefit. So today I would like to tell you How to meditate. Follow these 7 easy steps. 1. Sitting comfortably straight is a essential to meditating & adjust your posture. Forget your name ... Forget your gender… Forget your role/s and title/s… Forget your body….check how you feel. 2. Meditation begins by relaxing your body. Only then will your mind be willing to meditate. So it’s a continuation of what you're doing here already ... Sit quietly....breath in and out a few times...... and inside of your mind engage in this dialogue. 3. Relax your neck by very gently moving your head in small circles, or backwards and forwards and from side to side -- always do this very gently. NOTE: Do not do this if you've had a stroke or are under doctor's care. Go to next step. 4. How to meditate for beginners is so easy...roll your shoulders for few minutes or 15 to 20 time roll them clock and anti-clock wise, if they're tight. 5. Release any tight, sore area/s in your body. Do this by breathing two or three times "into" those spots. Take your time. 6. After that Chant a mantra. 'Om' is the most commonly preferred mantra to meditate. It relaxes your mind, improves concentration, relieves stress and provides peace. 7. Breathe mindfully. That means noticing your breath. It’s much like watching waves on water. Let it be how it wants to be. As you notice your breath now, it may be shallow, uneven or jerky. It’s OK however it is. You’re just observing it with attention and affection -- every inhale and exhale. Would you like to discover a simple meditation technique? You can practice it anywhere and anytime you feel stuck, anxious, stressed or upset. Thanks for showing your interest to reading.